Test the product and photograph it yourself by ordering samples. 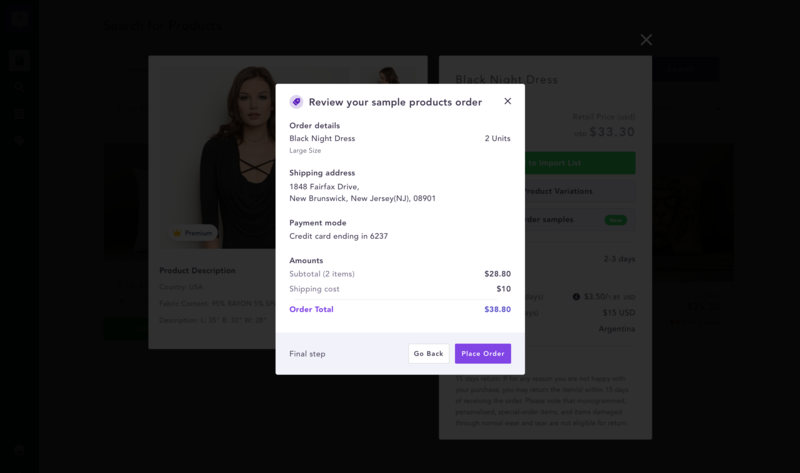 Launching in July 2018, Spocket allows you to order samples of products with a few clicks right on the Spocket dashboard. 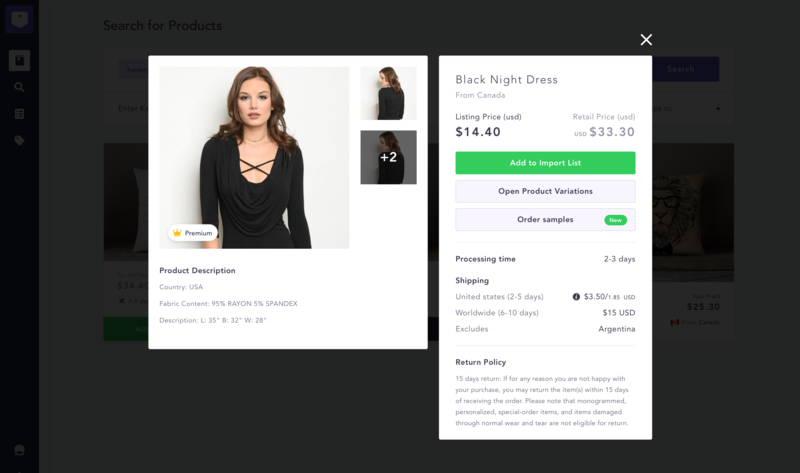 Test out the products before you dive into business with the particular supplier, and use the samples to photograph the product for your store. You can now add high definition photos that you have taken yourself to suit the style and theme of your site. 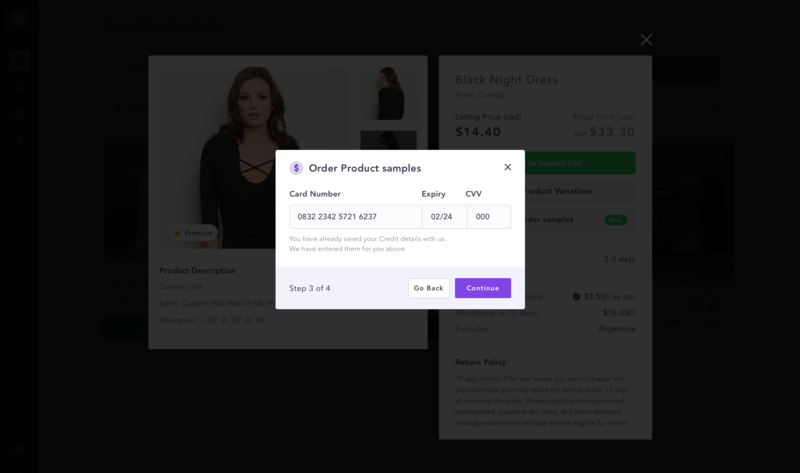 For every item on Spocket, you can process up to 5 samples per order, and ensure that the product is upto the mark for your store. You can buy the sample orders with deeply discounted prices. 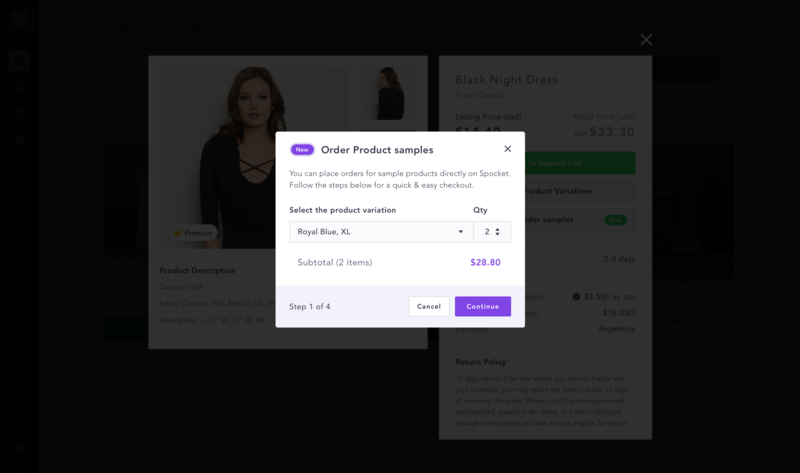 Click on the Order Sample button that is present in the product description. 2) A pop-up will appear that will require you to choose the variant of the product you wish to be delivered to you. You can change the quantity from a minimum of 1 to a maximum of 5. The total amount you need to pay will be displayed. When ready, click continue. 3) You will be asked to fill out your address and phone number so that the item can be delivered to your location. 4) Then you must enter your credit card number to pay for the product you have selected. 5) The final step is to review your order and make sure the details you have entered are correct. In case you want to go back to a previous step and change something, you can simply click the "Go back" button. Once you are ready, click "Place Order". At this point, the supplier will be alerted that you require a sample of their product and will start fulfilling the request on their end. Soon, the product will arrive at your preferred destination, and you can check if it's the right one for your shop. 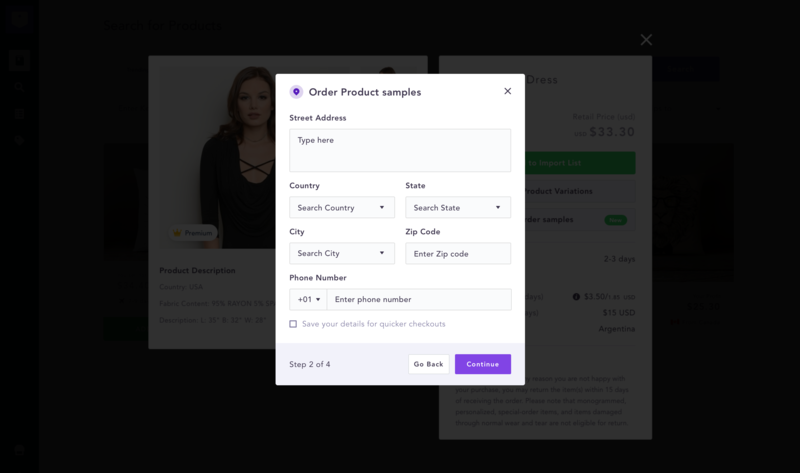 Get your sample product today, and start Spocket-ing!